Each of our activities extends LSA's mission to provide a superior summer experience integrated with a consistent, Christian approach to fun and learning. Our summer camps are open to all families in the greater Houston area. We offer over 30 programs for ages 3-18 that include academic and technology courses, enrichment classes, fine arts, and sports camps. Camps begin during the week of June 3. 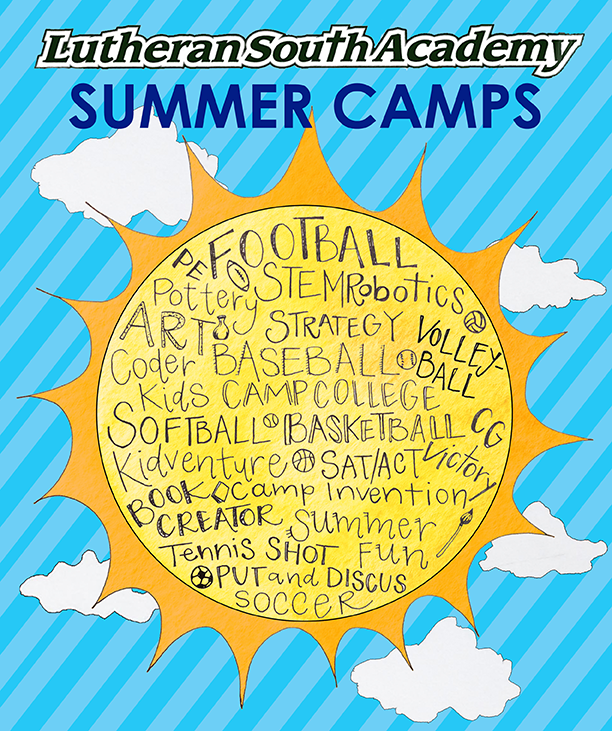 In addition to LSA-sponsored camps, Lutheran South Academy is one of 13 sites throughout the Houston area offering Kidventure Camp 2019 for eight weeks beginning June 3. Kidventure has been providing summer day camps and overnight camps in Texas since 1994. Each unique camp week meets Monday through Friday except the 4th of July. Cost is $230 per week and includes all field trips and transportation on luxury tour buses (Explore only), guest speakers, daily snack, and all camp activities. There is a one-time registration fee of $35 per camper. Register on the kidventure website. Online registration is now open for all activities. Registration fees for LSA-sponsored activities are non-refundable. Payment in full is required when you register. Click on the button below to register for LSA camps. Save money for LSA-sponsored camps by taking advantage of the early bird discounted rates and register by May 31. Register for Kidventure, Coder Kids, Bocal Majority Double Reed Camp , Camp Invention, and CG Victory Ignite Day Camp separately on their websites. You can also click on the links on each activity below to register. Please note: Activities with an (*) are multi-week camps. Cost is per week unless otherwise indicated. Grade levels reflect entering grades in the fall. Only Kidventure Discover and Kidventure Explorer will meet July 1-3 and July 5. Only Kidventure Discover and Kidventure Explorer will meet July 22-26.